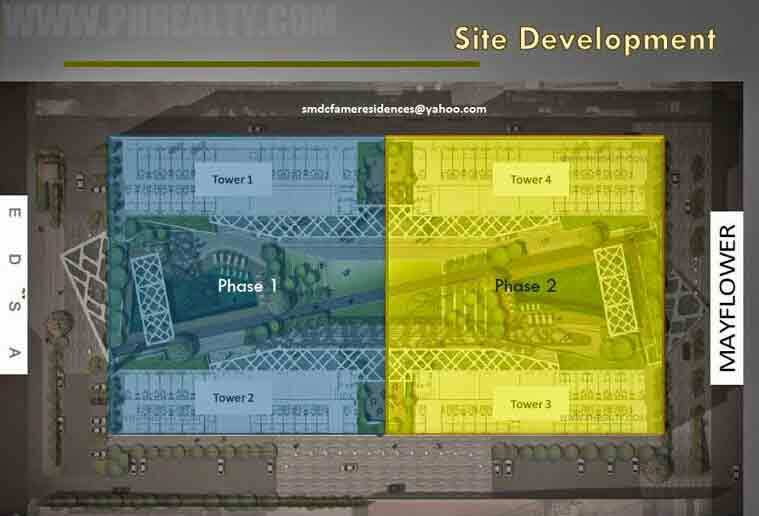 Right in the heart of the commercial area of Central Edsa, SMDC brings to you its newest venture: Fame Residences. A fabulous place to call home, with the unique and iconic building architecture, this is perfect for those who want the spotlight on them. SMDC brings in glamour and chic styling in its newest endeavour, to give the clients a home that represents their classy and fabulous lifestyle. With the perfect combination of an ideal location and a beautiful home, this is the place to be. For all those with growing careers, this is the home that you want to invest in. 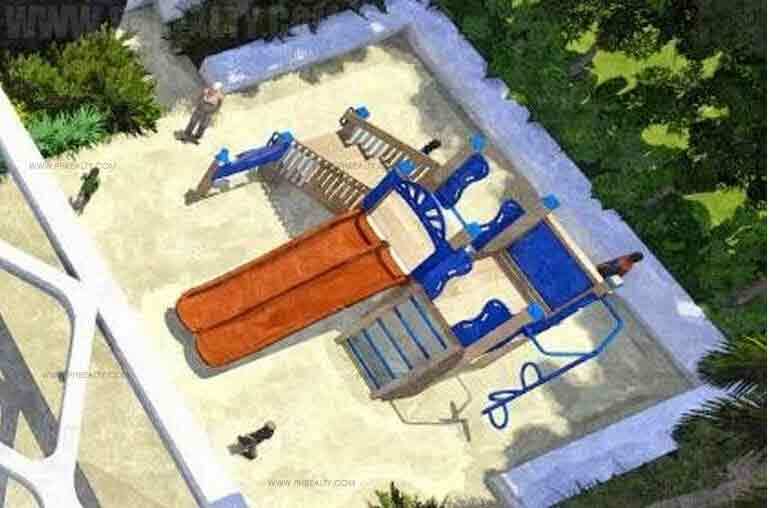 Families too will find what they are looking for, with design inputs that cater to children. Built along two intersecting business districts and surrounded by commercial avenues, this is the city’s new crowning glory and perfect for those who want a home that complements their jet setting lifestyle. Continue reading to find out why this is where you truly belong. 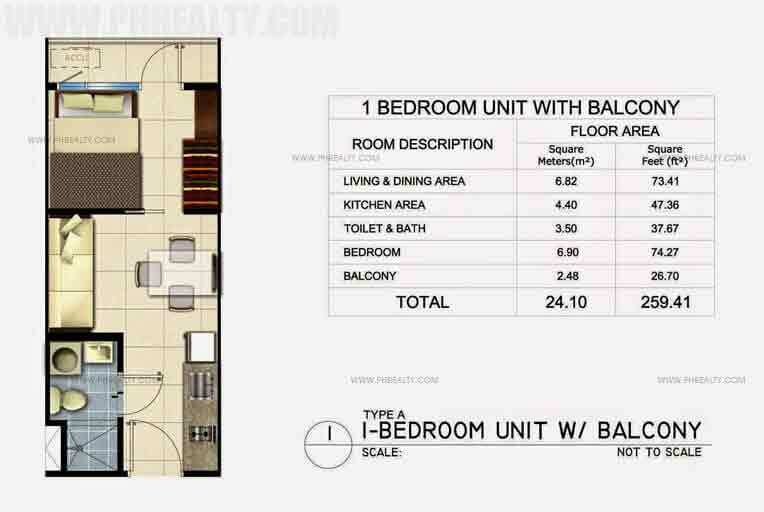 Fame Residences, is a sprawling property spread over 18,907 sqm, in the heart of Central Edsa. With four towers each thirty-nine storeys high, our future residents are bound to feel fabulous. The building façade is one of kind, and represents true iconic architecture. With sophisticated clean lines of glass finishing that cover each and every tower, along with hints of chrome, this project truly is the crowning glory of the city. With beautiful landscaped gardens and a fame runaway built across the property, Fame Residences is the perfect balance of class and elegance. Sophisticated and modern design aesthetics are prevalent throughout the project, making it an ideal choice for all the budding entrepreneurs. The state of the art amenities and grand outdoor lounges, provides the best to our future residents. The architecture and the interior designs include modern and clean lines, with top of the line furnishings and an overall chic vibe. The trademark SMDC perfection comes into play, as you find yourself surrounded by glamourous and luxurious interiors. From the building façade to the interiors in the grand lobby, every aspect of design is aimed to impress and provide a fabulous feel. Nowhere in the heart of the city will you find a home that is not only beautiful but also really a quality home for you and your family. 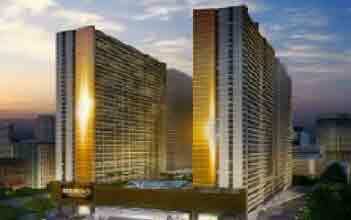 What better place to invest your money in than Fame Residences, a place that you can proudly flaunt!! The high rise that is perfect for the quintessential high life. 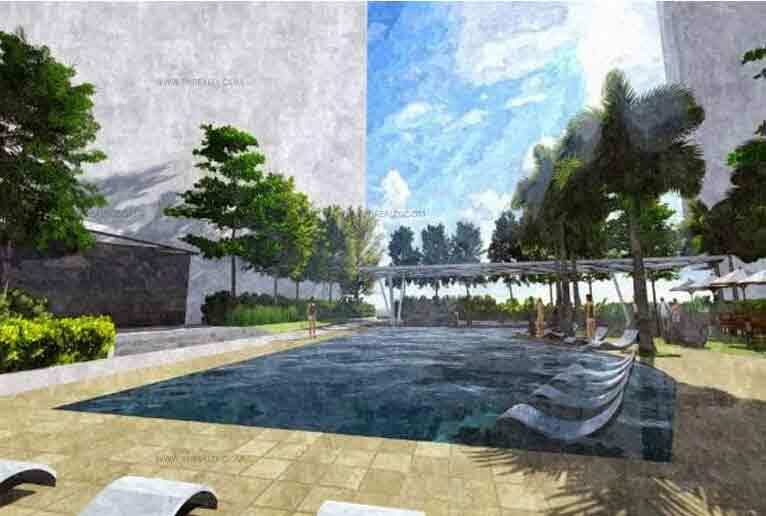 The aim here at Fame Residences, is to provide a glamourous high lifestyle to its future residents. With this in mind, SMDC has incorporated urban and modern design aesthetics to its design theme for Fame Residences. The grand lobbies, amenity lobbies and lounges, are furnished with textured pale walls, with dark velvety fabrics for sofas and drapes, giving it a very classic touch. With modern light fixtures and lots of glass furnishings this is the modern oasis in the middle of the bustling city. The common areas, are artfully designed and have a lot of chrome and metallic elements, which makes the interior warm as well as glamorous. The apartments range from 24 sqm to 38 sqm with either one or two bedrooms, also with the option of a balcony overlooking the gorgeous city skyline. The kitchen in every apartment is furnished with dark panelled cabinets and white tile countertops, giving it a very clean and sophisticated look. Kitchens also come furnished with cooktops and range hoods. The walls of the house are furnished with textured pale paints, to give you a durable canvas, which you can customise according to your needs. The sinks in the kitchens and toilet fixtures have a sleek stainless steel finish and the sinks in the toilets have a white ceramic finish, all of which gives your home a very modern and sophisticated feel. The floors in the kitchen, toilet and balcony have waterproof finish, giving you beauty with quality and durability. All the apartments are very well lit with light fixtures that are chic and classy. The interiors, have been carefully considered and customised to provide our future residents a very luxurious yet comfortable vibe. With the hallmark SMDC level of quality, you can be rest assured that not only is your home designed beautifully from the inside but it can also be maintained easily and can sustain itself for a long time. From the apartments to each of the common rooms, every single detail has gone through the SMDC treatment, giving you only the best of the best. Here at Fame Residents, what awaits you is luxury and comfort. With amenities like pools to lounges, you will have ample opportunity to relax and revitalise. You can start off by taking a few relaxing laps across any of the two swimming pools, found within the complex. Why not teach your children how to swim in the kiddie pool? Better yet take a nice calm float in our lounge pool. All around the pools are slip resistant decks with comfortable chaises and beach umbrellas, allowing you to enjoy a nice calm day outside. If you wish to exercise you can do so in the state of the art gym with professional trainers, available to all future residents. And for those looking for fresh air, you can stay healthy by using the outdoor gym, which caters to your fitness needs under the blue skies. Beautifully landscaped gardens eagerly await your arrival. With a sunken garden filled with lovely flora, this is the perfect, serene and calm oasis for you and your family in the middle of the bustling city. Children can run around freely and play without a care in the world, in the children’s playground. Outdoor lounge areas, with comfortable outdoor sitting and great lighting are perfect for those sultry evenings to entertain your guests. The fame runaway has been specifically designed to run across the property to give you the perfect runway to strut around, under the city spotlights and a sky a full of stars. Jogging has never been this glamourous. 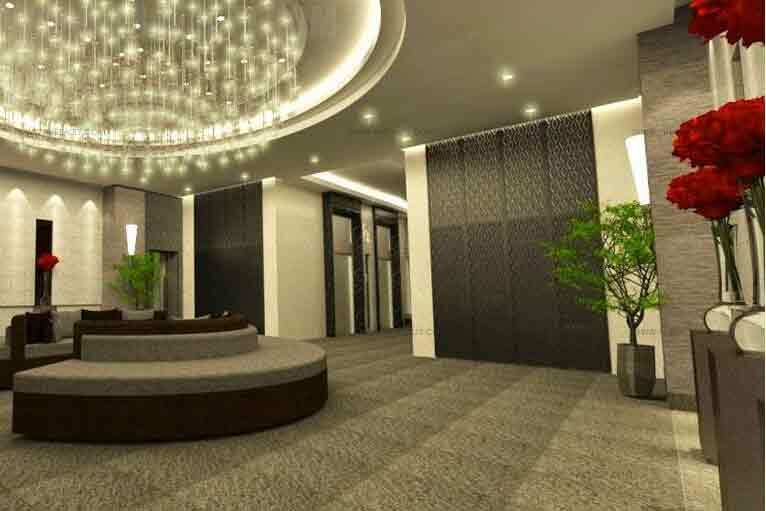 Amenity lobbies are provided in each and every building, and are equipped with function halls and meeting rooms. Now you can organise a party in one of the spacious function halls, or organise a meeting with your colleagues, in the fully furnished conference room. A reception desk that is manned 24/7 is present in all grand lobbies to guide the residents as they settle in. The ground floor has the commercial area with small cafes, groceries and shops all of which cater to the various needs of the future residents. Our residents will not suffer any power or water outage as there is a backup power system and a backup water supply that is readily available. A central garbage disposal system keeps Fame Residences always clean and smelling right. 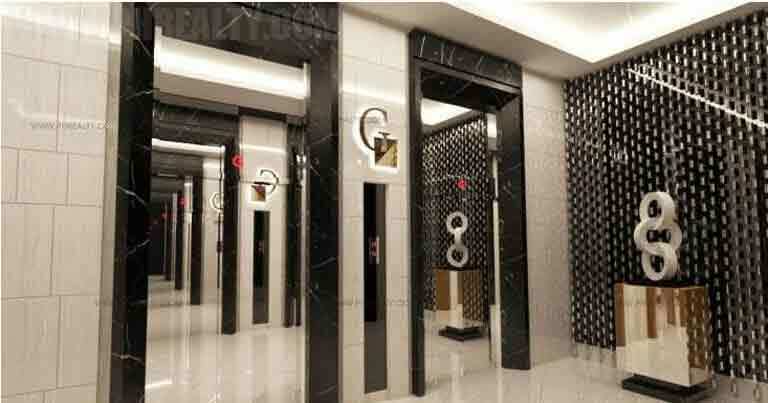 Four high speed elevators provide ample transport for the residents to commute easily up and down the floors. All the buildings are wheelchair accessible and cater to the needs of differently abled. There is an amazing team of property management service providers, present to guide and aid the residents in any way possible. They are responsible for regular upkeep and maintenance of the residences and are superlative at it. SMDC prides in itself for providing not only a quality but a secure life for its clients. Fame Residences is no different. At the heart of it all, you want a home where you and your family can truly feel safe and secure. And Fame Residences provides that safe place for you. With trained and armed security personnel on guard 24/7, all around the property, you can rest easy and not be worried about security. CCTVs are continuously on the lookout for any and all suspicious activities or objects, which are immediately identified and investigated by professionals. The Fame Residences is a gated community with an intercom system allowing you and your family complete privacy. Automated fire alarms and sprinkler systems, are outfitted in all common areas and in each and every condominium. The alarms are connected to the nearest fire station making sure that help is always a moment’s notice away. Regularly checked and calibrated fire extinguishers are available in all common areas and apartments. The emergency exits are all well marked and lit. The hallways are designed with emergency guidelines in mind and are clearly marked and with adequate light. The staircases follow emergency standards, and are wide, well-marked and well lit, and lead straight to open and safe spaces. A team of professionals are always at hand to regularly check and maintain all emergency needs and protocols. Safety and security of the clients, is a primary objective here at SMDC, and no comprise is made on it. Each and every quality and safety guidelines and standards are followed to the letter. In the heart of a bustling city, this is the safe oasis that you wanted for your family. 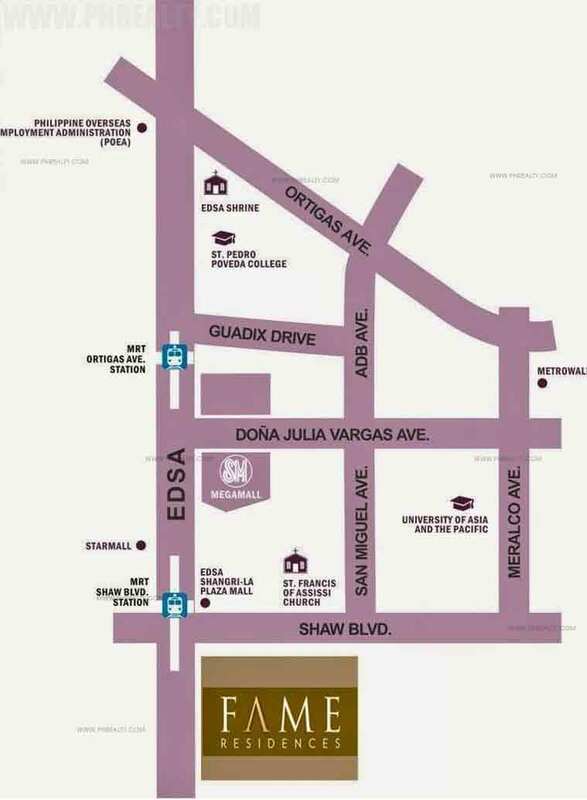 Situated along the Edsa and Mayflower Street in Mandaluyong City, this is strategically the best place to have a home. Surrounded by a commercial area, this is the hub of financial growth. With beautiful Metro Manila skyline as the backdrop, you can definitely say that the location of your new home is like no other. At the intersection of Makati and Ortigas, Fame Residences gives you the taste of the best of both worlds, with busy business districts during the day and entertainment central during nights. Now you can work hard and party harder, with all the various opportunities that are available right at your fingertips. 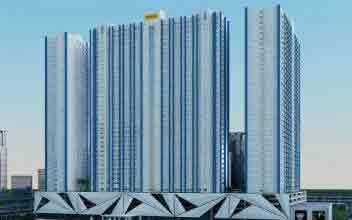 Bustling city life of Central Edsa, will revolve around you, as you enjoy your quintessential urban high life, in this glamourous high rise. With Metro Rail Transit station a mere five minute walk away, you can now travel anywhere traffic free. Travelling to and from work has never been this easy. Now spend more time at home enjoying your fabulous life with your family rather than travelling arduously long hours. Why not enjoy the lifestyle you have worked so hard at getting? With academic institutes like University of Asia and the Pacific close by, your children will not have to travel far for their education. SM Megamall, is easily accessible, as are other shopping outlets, providing the residents a wide variety to choose from. A commercial hub like this guarantees an amazing night life as well as varied gastronomic delights. There is no way you will ever be bored here. Your home is the epicentre, the beacon of glamour and glitz. Never has an address been so fabulous and an envy of others! 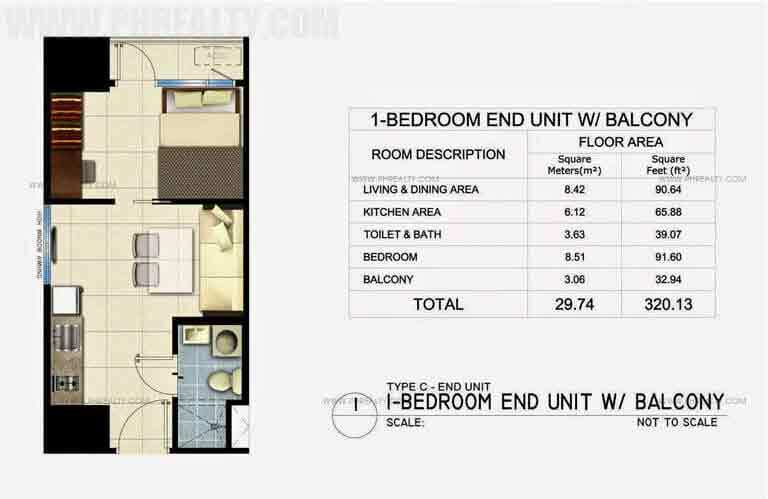 Fame Residences, is the home you truly deserve. A place where you can enjoy the high life you have worked so hard to earn. An investment into an address that is the envy of others and one you can really be proud of. 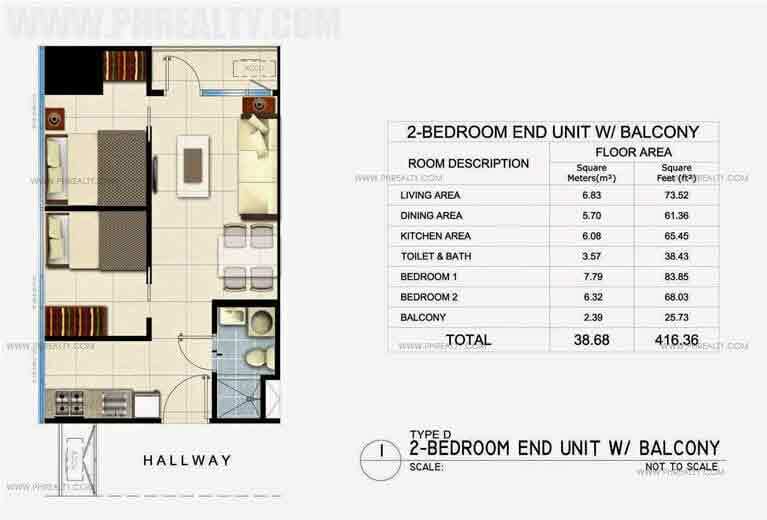 With its ideal location, know that this is an investment towards your future. Being in the middle of a growing area, allows you the best opportunity to rise in your careers, but without the added stress of balancing time between home and work. All that you need and want is easily accessible to you and your family, allowing you to spend some quality time with yourself as well as your family. A secure and safe place for you and your family to live and enjoy the high life. The ambience and location makes it ideal for bachelors as well as families. A community where you can lay down your roots. This is the place where you can relax and revitalise and get ready to face the world. Fame residences perfectly complements your jet setting lifestyle and gives you a glamourous home. Luxury and glamour with comfortable and functional living design aesthetics. 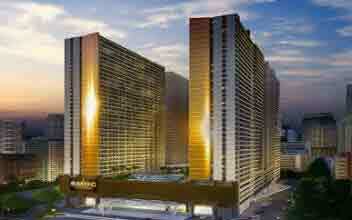 Glitz and brilliance awaits you and your family here at Fame Residences. So what are you waiting for? Start living your fabulous life right now! !